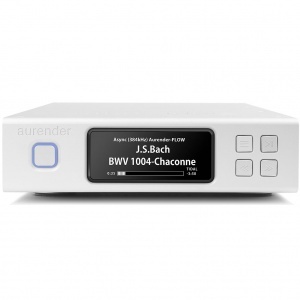 Music Player with high performance digital-to-analogue converter. 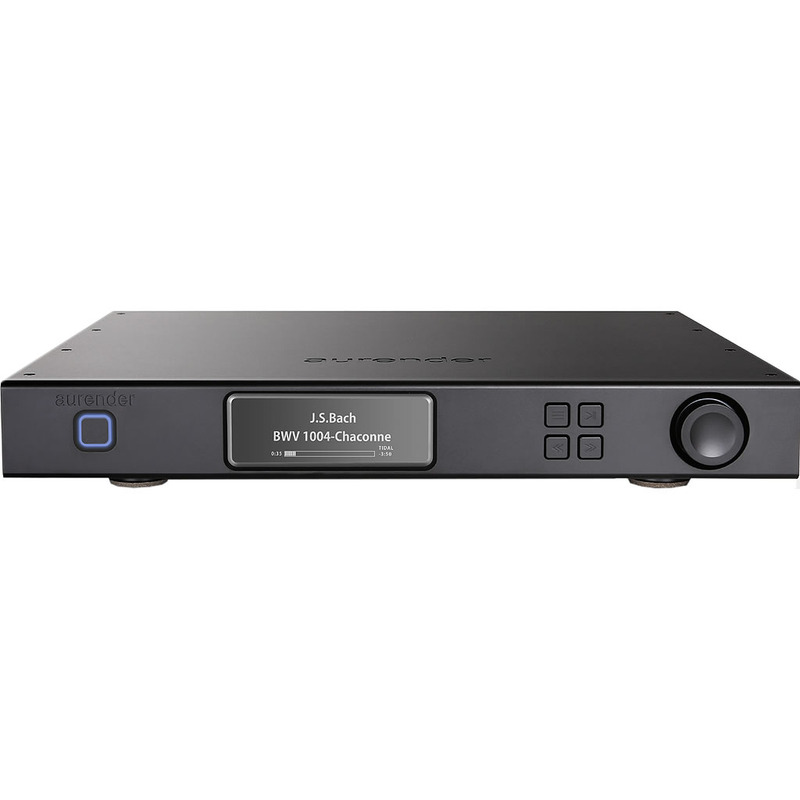 With 4TB of internal hard disk drive and one 120GB solid-state drive cache for playback, the A10 is the perfect solution for those replacing CD Players. All Aurender models include the dedicated Aurender Conductor App, hailed by reviewers worldwide for its performance and intuitive operation. iPad App was developed in house with managing large music databases in mind, providing exceptionally fast browsing and searching of your favourite music. All Aurender Servers and Players fully support the service. 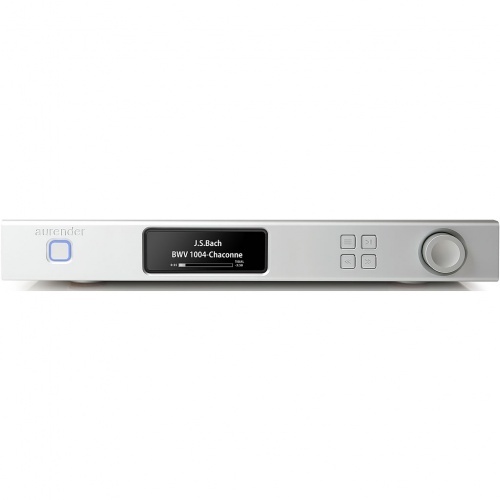 Enjoy 35 million lossless CD quality music tracks with the world's best sounding Music Server. You can also easily play music from your NAS, on Aurender's HDD or music from the TIDAL service using the same app. 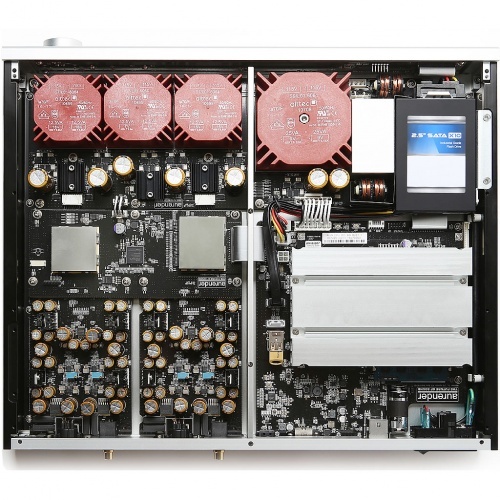 Full linear power and special shielding prevent noise from being delivered to sensitive DACs for the best sound reproduction. Internal hard drive provide 4TB of storage and a 120G solid-state drive is used to cache music for playback. If a selected song or album is already cached to the solid-state drive, the hard drive will remain asleep. This minimizes wear and tear on the hard drive. By caching songs to the solid-state drive for playback, electrical and acoustic noise resulting from spinning disks, moving heads and motors are also completely eliminated. 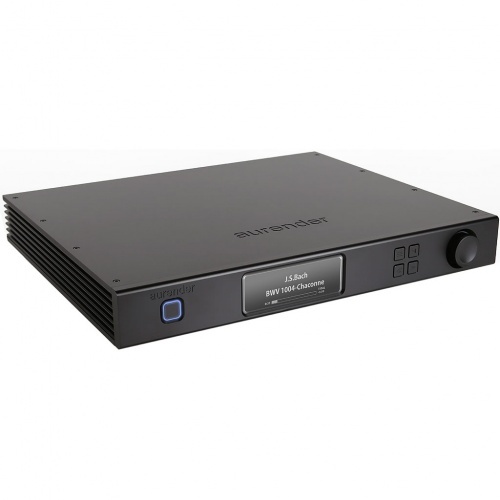 The dedicated USB Audio Class 2.0 output is designed to deliver an exceptionally transparent audio signal free of noise, and is shielded from outside electronic interference. When not in use, the power to the USB Audio output can be shut off depending on the USB DAC’s requirement. 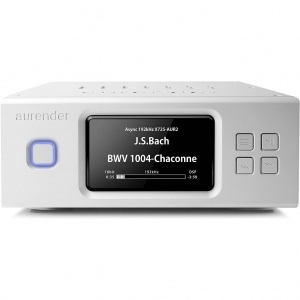 ​If you already have NAS set-up, the Aurender N10 is able to play music stored on NAS devices, AMM(Aurender Media Manager) software is available for Mac(OS X 10.9 or later) /Windows7 or later. You can run AMM software on your platform of choice, please specify the location of your content on NAS then it will automatically find the Aurender in you local network and make a combining music database. It's transparent to the user, so once you run AMM , you can select the music with all the meta-data using the Aurender Conductor App without the knowledge of the location of your music files. ​Sending a Remote Support Request through the Aurender App allows engineers to quickly diagnose and fix problems over the Internet. ​Stereo Crosstalk: ​Better than -135dB, 20-20kHz.